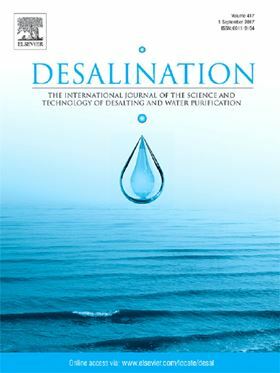 The research paper 'Evaluation of integrated microfiltration and membrane distillation/crystallization processes for produced water treatment' will be published in Elsevier journal Desalination. Proper management and treatment of produced water has emerged as a big challenge for oil and gas industry. Increasingly stringent environmental regulations and economic constraints are compelling the use of more advanced treatment methods. Membrane operations are gaining significant interest for this application due to their broad range of separation capabilities, high efficiency and low operational cost. Commercially less-adopted membrane operations, such as membrane distillation (MD) and membrane crystallization (MCr) are gaining significant interest for produced water treatment due to their almost concentration-independent performance and less fouling potential. The current study analyzes the performance of an integrated microfiltration (MF) and direct contact membrane distillation (DCMD)/membrane crystallization (MCr) system for freshwater and minerals recovery from produced water. Based on the experimental data, thermodynamic/exergetic/quantitative analyses have been performed. Performance of the integrated processes has been compared with the conventional multi-stage flash (MSF) in terms of process intensification metrics.